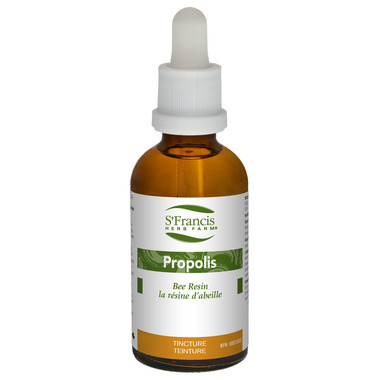 Propolis is traditionally used in Herbal Medicine to help relieve sore throat and/or other mouth and throat infections and inflammations. Suggested Usage: Adults: Take 0.22-0.6 ml (7-20 drops) 3x daily in a little water on an empty stomach. Cautions and Warnings: Consult a health care practitioner before use if you are allergic to bee products, poplar tree products, or balsam of Peru; if you are pregnant or breastfeeding. Consult a health care practitioner if symptoms worsen or persist. Known Adverse Reactions: Hypersensitivity (e.g. allergy) has been known to occur, in which case discontinue use immediately. THE best propolis I've ever had. PURE goodness!